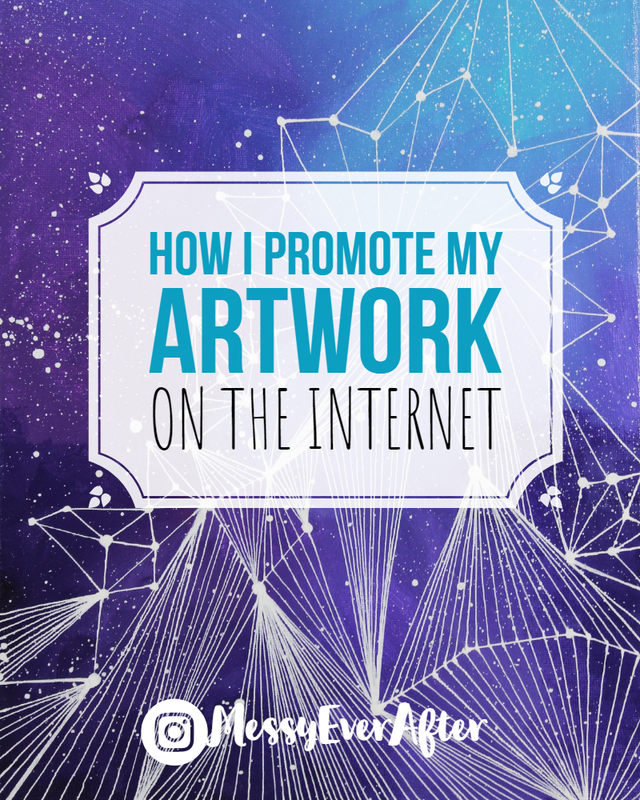 Promoting your own artwork can be frustrating, overwhelming, and tedious. Where are you supposed to start? Should you pay for ads? What is the best way to get your art in front of people? I can’t tell you exactly what you are supposed to do in order to successfully promote your art, but I am more than happy to share what I personally do. I didn’t have a good plan when I started promoting my art. Almost exactly a year ago, I had no social following. My Instagram account only had 300 followers, and my Facebook page had maybe 130 likes. I also had no clear branding or idea what I was doing. I was desperate to ‘make it’ as an artist, but was kind of winging it. Today, my Instagram account is just over 60k and it continues to grow. I’ve learned a lot of the last year, but when promoting your art, persistence, patience, and willingness to evolve is crucial. Like a lot of my blog posts, this will likely include way more information than is convenient to read in a short period of time–sorry not sorry. Instead of delivering vague and easily digestible posts, I like to include as much info as I can.. So, here is my long winded approach to promoting and marketing yourself and your art. Create quality content (art, blogs, classes, crafts, etc.). Decide where you want to funnel your audience. Figure out your ‘brand’ and your message. I’m adamant about figuring out 1-4 while promoting your artwork, but if you just want to get eyes on your work regardless of whether or not you know what you’re doing then go ahead and skip down to number 5. As I confessed above, I was just winging it when I started and it’s okay if you are too! Why do you want people to see your work? Do you just want to get attention? Do you want to teach people? Do you want to make sales? My main goal with promoting my art is to generate art sales from my online store. My secondary goal is to get people to read my blogs and potentially gain consulting and coaching work. What is your main goal? There isn’t a right or wrong goal, but figuring this out will help give you direction. What are you selling? An idea? A lifestyle? A physical product? Exposure is great, but it’s not going to do you any good if the products you are offering don’t look appealing. When I say create quality content, I mean everything needs to be good quality. Video resolution, lighting, photo quality, staging, captions, your message, etc.. If you hope to sell your original works of art you should know how to photograph your pieces in an attractive way. Your photos may not be the best in the beginning of your artsy journey, but keep looking at what other successful artists are doing and mimic their photo compositions. Work on your style. Perfect your art. Create quality products. After you get someone’s attention, what do you want them to do? If you want to sell your work online, it’s a good idea to set up a store front (Etsy, Weebly, Shopify, etc..). If you produce video content, you’ll likely want a YouTube channel. If you blog, you’ll want a site like WordPress or Wix. Maybe you have an email list you want people to sign up for, or affiliate links you’d like them to click on. This goes hand in hand with your goals from above. Since my primary goal is to make sales from my online store, I use most of my promotional posts in various places to try and route people to my store. Where do you want your audience to focus? I should really dedicate another post to branding soon, but basically your brand is who you are, what your art means, how you as an artist are involved in the process, and your overall theme. This means you should have a somewhat consistent style. You should be able to showcase a cohesive body of work and products that are connected to one another in some way. You should also have a clear message to send to your customers to help establish trust. How do you want your customers to feel about you? How can you help your customers get to know the artist? Once you know your message, then you can start creating captions and calls to action that match your tone. If you’ve ever read any of my Instagram captions, you’ll see how I try not to take myself too seriously or push sales too hard. I give a little insight into my daily life and then subtly tell people about new inventory in my store. This is a conscious decision on how I want my audience to receive my message. So, what’s your message, and how will you deliver it? Once you have your products/content, quality photos/videos, and a consistent brand and message, then it’s time to get your work out there. The list below contains all of the places I’ve experimented with for promoting my art. I have had the most success focusing on Instagram, and I do suggest starting there, but you don’t have to limit yourself. Choose any platform to start and once you get the hang of one platform, expand to another. Make sure you can dedicate consistent time to whichever platforms you choose. Social media moves fast, so you’ll have to post more often than you’d probably like. Instagram– I post 1 to 3 times a day, plus post a couple of stories a day. (Use the right hashtags for your work.) Your photos and videos really need to look good here. Captions can be short, but longer ones are more engaging. Facebook Page– I post 1-3 times a week. You can schedule posts ahead of time and be a little more casual with your content since your FB page doesn’t act as a gallery like Instagram. Facebook Groups– You can find bigger communities to post your work. These places aren’t necessarily good for pushing sales, but they can get your general exposure. I’ve posted in groups like Just Art whenever I feel bored. Twitter– I use this to post blogs and have no following so I only post once a week. Some people recommend posting a crap ton a day. Twitter is really really fast paced so post things that are easily digestible and post often. Tumblr– I connected my Insta to Tumblr during the winter but had no idea what I was doing so I put it on the back burner for now. It could be worth exploring though. I’ll let you know if I ever revisit it. Reddit-as the self proclaimed “Front Page of the Internet” Reddit is a great place to share your work. Check out the genre specific subreddits like Art. I share new pieces as well as promotions in my online store. Be mindful of each subreddit’s rules. They don’t mess around. You can find anything from illustration to fluid painting and a lot of dedicated artists and fans. Pinterest– I pin every one of my blog posts and some of my store products on Pinterest. You never know what pin will take off, but definitely look around at successful pinners and boards to see what content people might be looking for. YouTube– Art videos are addictive. If you ever get into recording your process, YouTube is a great way to expand your following. You especially want to focus on quality content here. See yourself as an entertainer rather than as an artist trying to push art sales. If you have a website, you should start collecting email addresses. My list is still small (and you might already be on it), but I send out one or two emails a month to update my dedicated followers about new sales, blog posts, and news updates. I use the free option for Mailchimp. No matter what your art looks like, you’re going to get mean comments and the occasional hater when you share things on the internet. You can’t prevent it, so try and develop thick skin now. This post might help. Here is a snapshot of the social media referral sites on my website for the last three months. 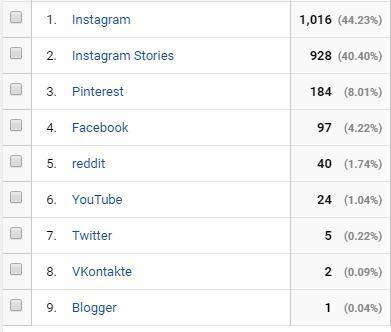 The numbers look small-ish…but considering that all of this is unpaid traffic from my social efforts, I’m happy with it for the moment. I use Google Analytics to track my traffic. If I try out a platform and see traffic from that site, then I keep putting time into that area. I have no idea what VKontakte is… oh well! Gaining exposure and new followers is pretty easy when larger content sharing accounts promote your work. This is actually how my Instagram following first started to grow. The hard part is getting those accounts to want to share your work. Lucky for you, these content sharers need you and you just need to get on their radar. How can you get their attention? First, create good content like “viral” videos that are short and interesting and post them to platforms like Facebook and Instagram. Make sure you use good hashtags for organic exposure or reach out to popular accounts and ask if they want to share your work. Example of a Facebook page that compiled a bunch of my Instagram videos and shared it. This is why I can’t stress enough to create quality content. You never know what image or video you share could take off. Yes, part of this is luck, but most of it is putting in all of the work to be in the right place at the right time. As your following grows, you’ll have more power to potentially act as an “influencer” for companies. If you have favorite art supplies, start tagging the companies and create mini ads for them. If your content is attractive, it’s possible they will share your work to their following. You can gain new followers, possibly receive free or discounted supplies, and more. It doesn’t hurt to message or email these companies to ask if they’d like to team up. If you do this, approach it from the view point of what YOU can do for them. Not what they can do for you. So far, I have received free art supplies from 4 different companies and even free soup from an awesome ramen company (A perk of talking about food a lot on Instagram apparently!). I’ve also worked with a company to launch a product using one of my paintings as the design. I only worked for one of these opportunities, and the others found me through my social media accounts. This is proof that patience and persistence really does pay off. If I hadn’t devoted so much time to growing my Instagram account with quality content, those opportunities wouldn’t exist for me. I do not and have not paid for any large accounts on Instagram to share my work. Like I said, content sharing accounts need content. If you know you are producing good content and are willing to be patient then I don’t recommend giving away your money for a single post. If you do decide to pay for these share services, make sure the account has good engagement. If they have 300k followers, but each post only gets 800 likes and a handful of comments then it’s not worth whatever the fee is. I have been seeing a lot of promotions in my Instagram feed from small and underdeveloped artists. I am always tempted to message them to encourage them to stop wasting their money. If you don’t have your branding figured out or have content that is high quality, ads are not going to help you. 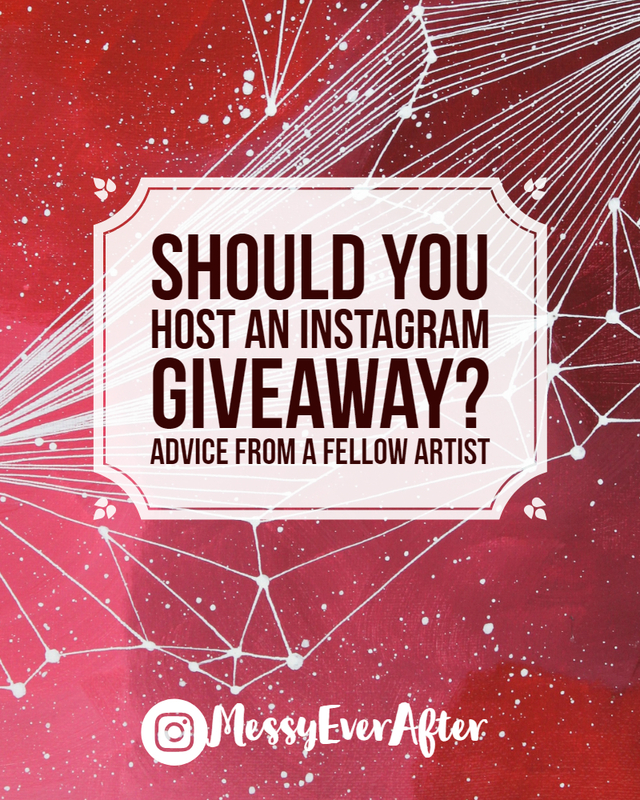 I wouldn’t suggest using this as your first means to gain exposure as an artist. Now, if you have an established following, clear branding, and really attractive content then paid promotions might be the right step for you. I suggest being strategic with your ads. If you just released a new print series, are hosting a sale in your store, or put together an e-course for a new painting technique then a paid promotion might help you reach your goals faster. I just strongly encourage you not to promote your post of a doodle photographed in poor lighting with a vague caption with only a goal of increasing your following count. Use that money to buy Chipotle or a new tube of paint. I know it’s tempting to try and take a short cut when you are starting at the bottom, but please don’t subscribe to any bot services. Bots are applications that automate your social media accounts by liking, following, and even commenting on other user accounts. A lot of these services ask for a fee and completely go against Instagram’s terms of service. Your account can be flagged and shut down if caught, but more importantly it’s not genuine. Organic growth is much more satisfying and beneficial for your business. But hey, you don’t have to listen to me. Whew, that was a lot. Remember, this is just what I do to promote my work online. This is not a comprehensive list by any means. I’m sure there are a lot of other avenues for promoting your artwork and if you find success with them I am excited for you! If you have any questions, please leave them below while commenting is open or message me directly. As always, I am happy to offer my consulting services if you would like one-on-one help with your artsy goals. What I use to photograph, edit, and print from home. *Links in this post are affiliate links. I earn a commission if you buy things. Woo! As some of you know, I just bought a printer. I have been researching printers for months because I wanted to start offering lower priced products to my customers, but I didn’t want to just send images off to a company and cross my fingers that they turn out just the way I intend. Fair warning: Making quality prints is not cheap. And making quality prints from home is not cheap either. You need quite a bit of equipment, paper, software, and a lot of patience. 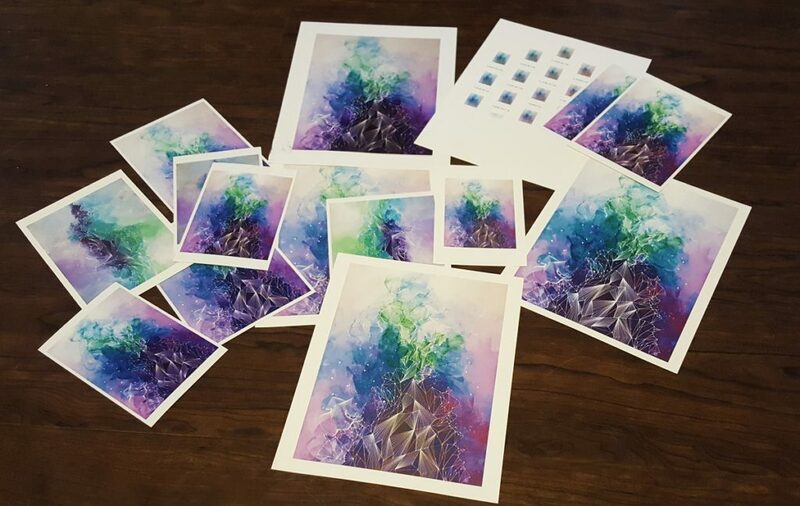 Fine art/giclée/archival prints are made using pigment based inks on acid free paper. They withstand the test of time much better than dye based inks and acidic papers which degrade and fade more easily. Sunlight and gases in the atmosphere cause inks to fade and papers to yellow. Archival prints aren’t impervious to this, but they last much longer. Especially when displayed behind glass or in a closed album. From my research, pigment based prints can last nearly 100 years in optimal conditions whereas dye based prints may only last 30 or less. I once used a dye based drawing ink on one of my canvases and the color faded dramatically over the course of 4 years on my wall. Not cool. So, pigment=good and dye=bad. Oh, and acid=bad. A guillotine paper cutter if you want to make custom sizes. After getting the hang of this printer (I’ll go over my brief mental break down in a bit. ), I’m really happy with how it performs. I recommend going over the specs for the printer to get the basic info, I did learn some additional things that may help you in your decision making. Printed images look more saturated and darker than the image file. You’ll have to tweak your file and monitor settings to account for this. The print head runs a cleaning cycle every 60 hours which can waste ink. You’ll want to print every couple of days to avoid that. I don’t know how much ink is wasted, but it’s a common complaint online. It does another one at 45 days. Pretty much don’t buy it unless you plan on using it multiple times a week to avoid ink issues (including clogging). Depending on what program you print from, prints from the same file can look different. I’ve had the best luck and consistency with using Canon software. I use Digital Photo Professional 4 and print with the Print Studio Pro plugin. You can get these programs from Canon’s website and the installation disc that comes with the printer. Paper choice is really really important. Depending on what your art looks like, certain papers won’t work for you. It’s slow. It took me a few hours to print my first batch of 50. You need a lot of space to lay your prints out to dry before stacking them. Pages shouldn’t overlap for at least 15 minutes, and should have clean paper between them once stacked. Since I’m mainly making prints of my larger canvases, I use my DSLR camera as opposed to a scanner to capture a well lit photo (use daylight bulbs or natural light), and then I color correct and crop in Photoshop. If you create smaller works of art, you can try using a scanner. You need to get the biggest, highest resolution image you can depending on the size of prints you want to make. I chose to use 11″x14″ as my largest print size so my DSLR camera works just fine. (This printer can go as large as 13″x19″.) If you are using a scanner, scan at 300dpi or more. Obviously when editing the goal is to get your image file to look as close to the original work of art as possible, but with the over saturation of the inks from this printer, you’ll likely have to make your image brighter than you’re comfortable with while editing. Which is why proofing is so important. Get ready to waste some expensive paper and ink. Once you edit your image, you’ll want to print to see how it looks. Even if your image looks great on your RBG monitor, it’s not going to translate exactly to CMYK inks. So, print and tweak. Print and tweak. The more you get used to your photo editing software and printer, the less proofing you’ll need to do. Even then, your prints might not look exactly like your work of art. I was beating my head against a wall trying to get a 100% match, sometimes you have to settle with near-perfect. Given my level of perfectionism with editing, I didn’t want to trust sending my images to a professional printer. I had no idea what my edited file would look like on their printers. If I needed to color correct, the process would take forever and printers often charge for each proof they send you. Control issues. I have them. Remember when I said images look different depending on the program you print from? Well, they also look different depending on what paper you use. When I sat down to do my first print run I thought I had a file that would work and the appropriate paper to print on. I wanted to use matte paper, because glossy paper has always annoyed me. It turns out matte paper is terrible for highly detailed pieces with deep colors. I read this while researching, but I didn’t realize just how accurate the information was so I ignored it. Inks diffuse through matte paper a little more so all of my fine line details ended up looking fuzzy. Also, my deep purples and blues looked a little blah. It wasn’t as noticeable to my nerdy other half, but the more I printed and color corrected, the more hopeless I felt. Add that to the default over-saturation of inks from the printer and inconsistent image quality depending on the program I printed from and you get a defeated artist who just spent over $800 for crappy prints. Yes, I was catastrophizing and being a bit melodramatic. Note: Some archivists and galleries get picky over acid free papers that use optical brighteners as it’s another element of the print that can break down over time. Your average customer probably won’t care, but it’s another thing to consider while paper shopping. 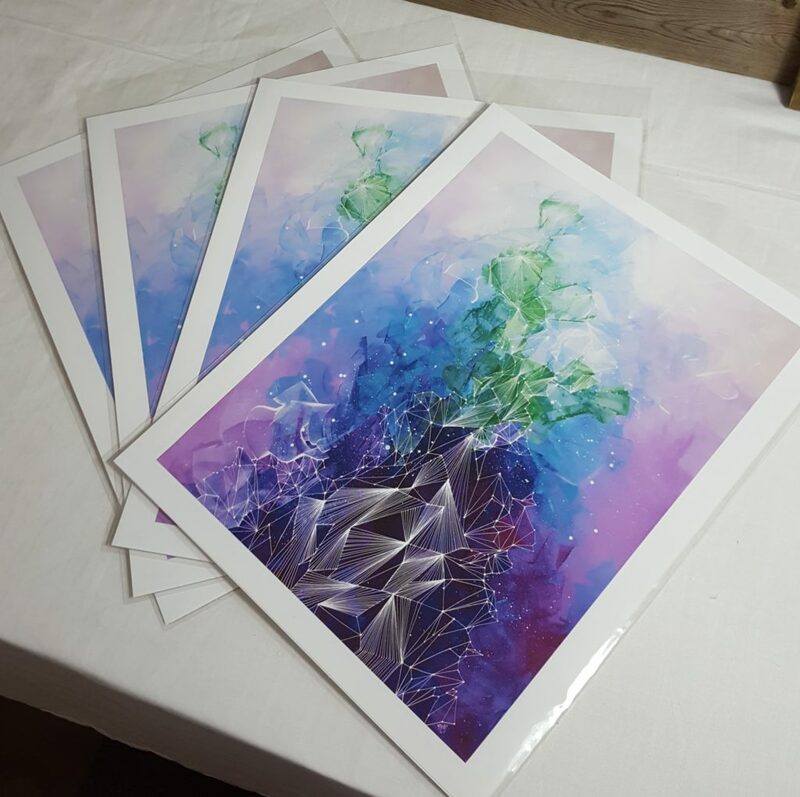 Once everything is printed, and you let the ink dry for the recommended 24 hours, you can put them in plastic sleeves with backing and prepare to sell. Yay! I’m dorky and include my new “Certificate of Messiness” with my prints and originals for that extra bit of branding flair. I also sign and number the back of the print. I am only doing limited edition numbered prints. In the fine art world, this is preferred. Personally I think it’s to keep the allure of exclusivity and elitism, which drives the value of art up. As a business woman this is a great way to make more money. So yeah, sign me up. Plus, I get tired of looking at my art and I don’t want to print the same thing over and over again. If you want to make 10,000+ open edition prints of one of your pieces, go for it. If you want to make a limited run of 50 prints of one piece and take the time to sign and number each one, that’s cool too. Just keep in mind how your choices will affect the value of your work in the long run and what’s right for your brand. Paper, ink, printer, backing board, and plastic sleeves has me at about $1000 investment. So far I have printed a total of 50 sellable prints which if sold at full price will gross roughly $1750. I still have enough paper and ink to create 50-150 more prints without investing anything more. The math shows that this is a worthwhile endeavor. The real question is how quickly can I realistically sell the inventory I am creating. It’s the same with creating original pieces of art. Just because you offer a product, doesn’t mean it will sell. You could go the cheaper route. Don’t have $1000 lying around? You could get a dye based set up for a little less. Honestly though, it’s only going to save a couple hundred. Maybe you don’t care about archival quality. Maybe you don’t need your prints to last a lifetime. If this is the case, then you can certainly go with a dye based printer. Just don’t say your prints are archival and don’t price them as if they are. You can break every rule out there, but don’t deceive your customers. You could also use the dye based printer for greeting cards and other products that aren’t meant to be long lasting. You can pay other people to handle everything for you. If you are not a hands on person and don’t want to mess with everything I just described above, then you can find a local printer in your area who will take care of all of it. There are people who will photograph or scan your work, color correct, and print. Just depends on how much money you’re willing to spend. You can also edit an image yourself and give it to a printer to save money. A local print shop gave me a $330 quote for 40 -11″x14″ pigment prints. Having a professional print my work at this price would have been cheaper initially, but again, I didn’t want to give up control of the process and once I use my printer more my cost per print will go down. If you choose to outsource, ask a lot of questions and make sure you are getting the quality you want. I’m going to strongly caution you against jumping into prints unless you have the ability to sell them now. 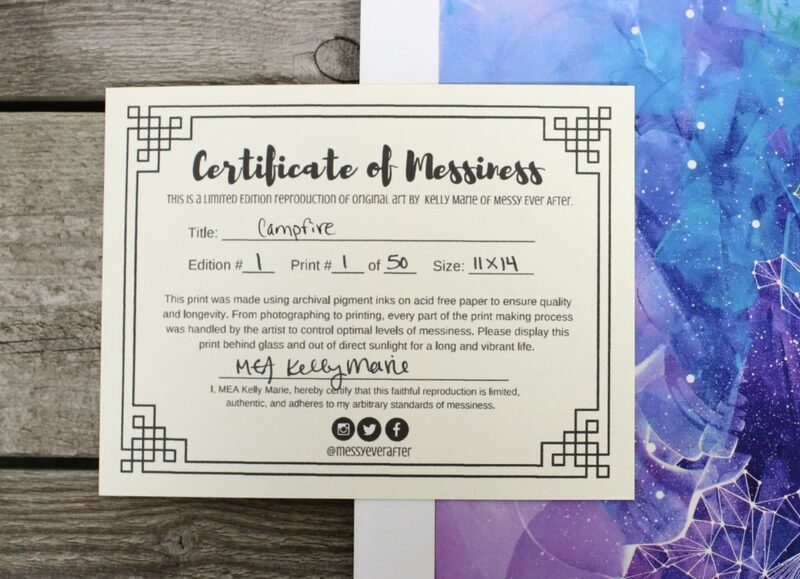 Are you constantly being asked for prints? Are you selling originals too quickly to keep up with the demand? Are you doing a lot of events where prints could be a quick impulse buy? 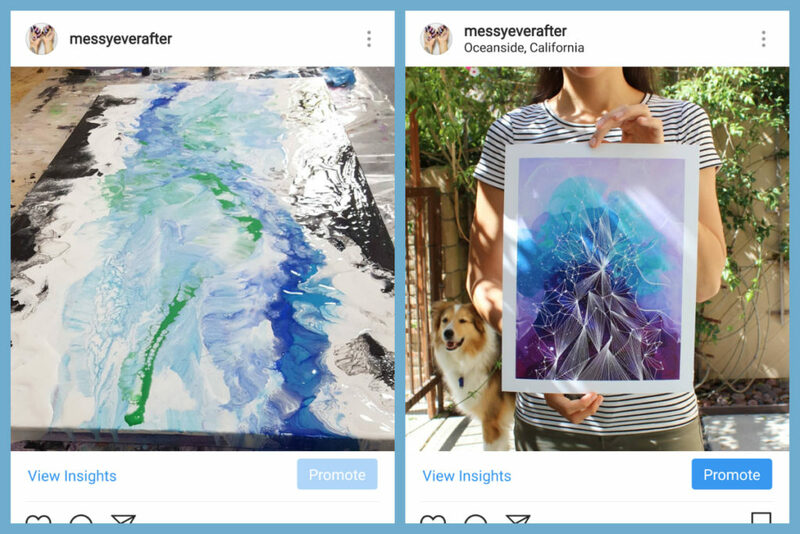 If you only have a couple hundred followers, primarily sell online, and you struggle to sell your originals–don’t invest in the supplies to make prints. Back in 2010, I had a huge batch of prints made when I started doing art fairs. After three fairs, life got in the way and I had a bunch of inventory that I carried around for years. I kid you not, I threw the last of them in the trash before moving to California at the end of June. Good riddance. If you are still developing your style and branding, I also suggest waiting to make prints. If you are having a hard time selling your art now (read this) and there isn’t a demand for prints of your work then I still suggest waiting. You can most definitely ignore my advice and give it a go if you are determined. The 2010 version of my would have been like “You know nothing! I’m going to make this work!” She was so feisty. I just want to pat her on the noggin and give that poor girl a hug. Ultimately, only you know what is right for your business, but if you ever want to discuss your options with a fellow artist, I am always happy to offer my consulting services. At first I was excited about my printer. Then I hated it. I ate some sadness ice cream. Called Canon customer support to ask if their matte paper is supposed to look like crap. And now I love my printer and all the little print babies that pop out of it. There is a learning curve with every new thing you jump into. Do your research and find an option that is right for you. As I write this, I am printing a new batch of 11″x14″ prints. Each one is just as perfect as the last–but I’m also burning through ink as fast as I shoveled that sadness ice cream in my face…so there’s that. As always, if you have questions or comments please leave them below while commenting is open or reach out to me directly. I love hearing from you!